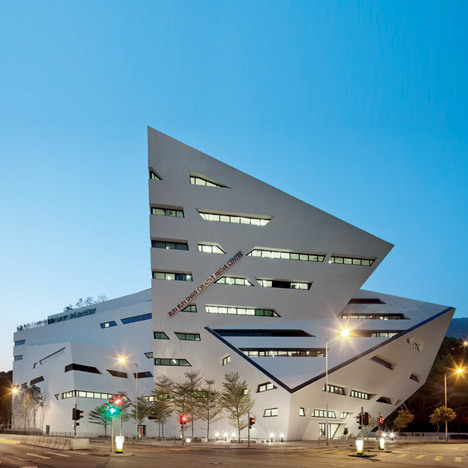 American architect Daniel Libeskind has completed a media centre for the City University of Hong Kong. 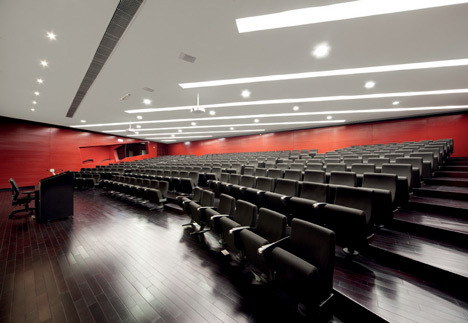 The Run Run Shaw Creative Media Centre houses laboratories, theatres, and classrooms for the school's departments of computer engineering and media technology. 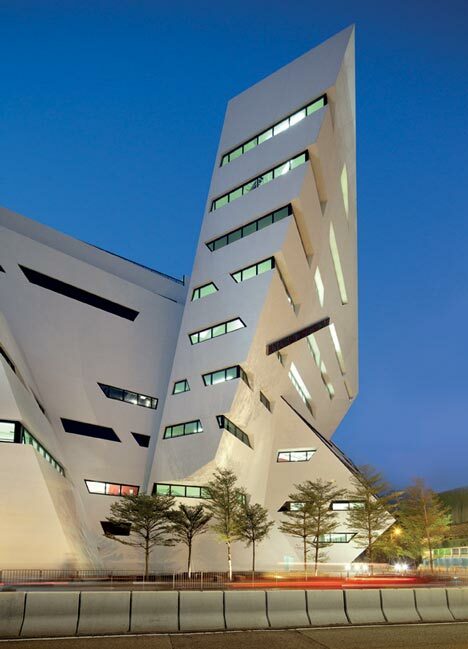 Like much of Libeskind's body of work, the centre's faceted volume shoots upward into a sharp point. Glazed segments wrap around the building's exterior while intersecting bands of lighting slice through the ceilings of the interior. The media centre is slated to open in October. 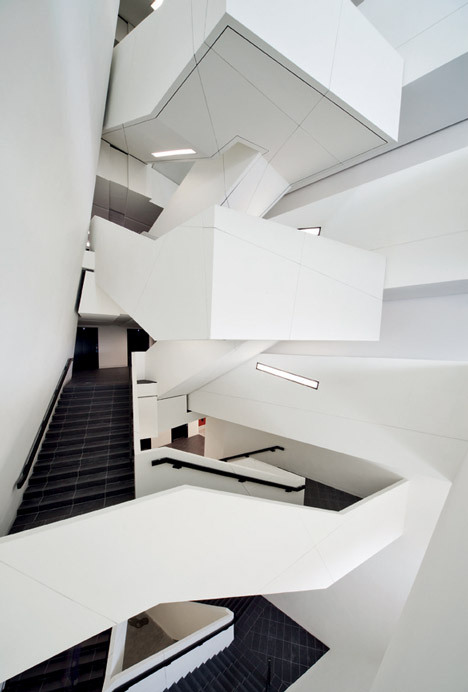 Daniel Libeskind is best known for his Jewish Museum in Berlin as well as masterplanning the World Trade Center site, currently under construction in New York. 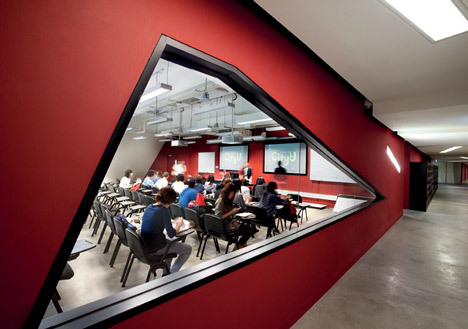 See all our posts about Libeskind here. See more stories about Hong Kong buildings here. Photography is by Gollings Photography. 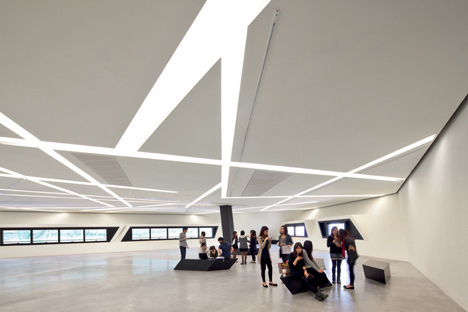 The Run Run Shaw Creative Media Centre for the City University of Hong Kong will provide facilities that will enable the University to become the first in Asia to offer the highest level of education and training in the creative media fields. The Centre will house the Centre for Media Technology and the Department of Computer Engineering and Information Technology.